President Donald J. Trump Proclaims October 9, 2017, as Columbus Day | Ciao Washington! Five hundred and twenty-five years ago, Christopher Columbus completed an ambitious and daring voyage across the Atlantic Ocean to the Americas. The voyage was a remarkable and then-unparalleled feat that helped launch the age of exploration and discovery. The permanent arrival of Europeans to the Americas was a transformative event that undeniably and fundamentally changed the course of human history and set the stage for the development of our great Nation. 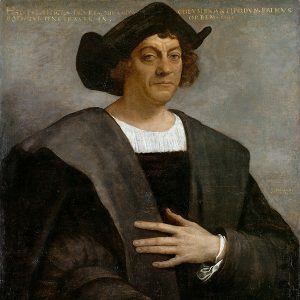 Therefore, on Columbus Day, we honor the skilled navigator and man of faith, whose courageous feat brought together continents and has inspired countless others to pursue their dreams and convictions — even in the face of extreme doubt and tremendous adversity. More than five centuries after his initial voyage, we remember the “Admiral of the Ocean Sea” for building the critical first link in the strong and enduring bond between the United States and Europe. While Isabella I and Ferdinand II of Spain sponsored his historic voyage, Columbus was a native of the City of Genoa, in present day Italy, and represents the rich history of important Italian American contributions to our great Nation. There can be no doubt that American culture, business, and civic life would all be much less vibrant in the absence of the Italian American community. We also take this opportunity to reaffirm our close ties to Columbus’s country of birth, Italy. Italy is a strong ally and a valued partner in promoting peace and promoting prosperity around the world.